I really loved A Work in Progress so I was very excited to start Note to Self. I haven’t seen Connor’s videos so I’m not deeply invested in him which might be the reason I was so disappointed in Note to Self. Don’t get me wrong, I loved the photography in this book. Connor clearly has an eye for aesthetics and he’s work is really inspiring to me. But everything else in this book felt kind of boring and repetitive. I did like most of the poems but the essays just didn’t do it for me. Maybe because A Work in Progress was so open and Note to Self didn’t offer me anything new. 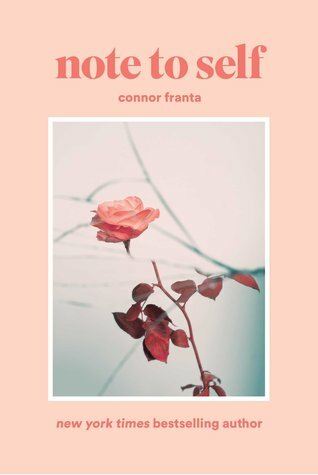 I think people who are fans of Connor and love everything he creates will like this book much more than someone like me who just follows him on Instagram for his photography.